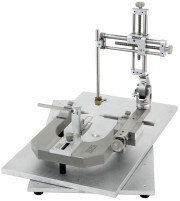 Single manipulator, 100 micron resolution with Lazy Susan Base Plate. 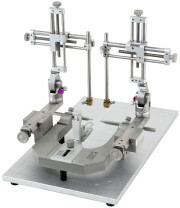 Dual manipulator, 100 micron resolution. 1760-61-SB Maniplators are compatible with this frame.